Israeli soldiers injured, on Friday evening, several Palestinians in Toura village, southwest of Jenin, in northern West Bank. 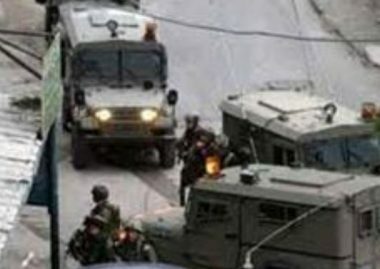 Media sources in Jenin said dozens of soldiers invaded the village, and fired many gas bombs at locals, and their homes, causing many to suffer the effects of teargas inhalation. They added that the army claimed that several residents approached the Annexation Wall, built on Palestinian lands.